Spanning nearly 300 years of horticultural history, these magnificent grade 1 listed gardens are set in Devon picturesque Otter Valley , between the ancient city of Exeter and England's Jurassic Coast World Heritage Site. The superbly landscaped park combines 18th century tranquillity with modern amenities to provide all year round enjoyment for everyone of all ages including historic glasshouses, a countryside museum, the Bicton Woodland Railway train ride, nature trail, maze, mini golf, indoor and outdoor children’s play complexes, restaurant and shop. All this makes us one of the most visited attractions in the South West of Devon. 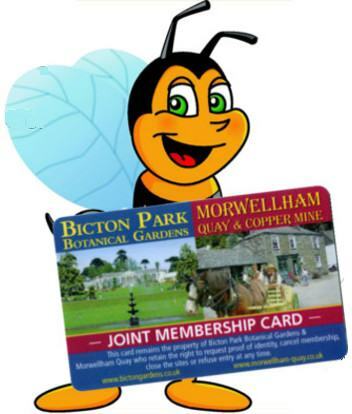 Upgradeing a Day Ticket to a membership gives you FREE access to both Bicton and Morwellham attractions. Annual membership last for 12 Months from date of purchase snd comes with many benefits, including 5% discount in the gift shops and restaurants. Membership also makes an ideal gift for friends and family. 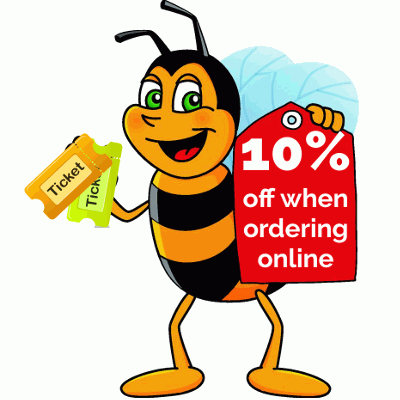 Why not pre order your Bicton Gardens fun day out entrance ticket online and save 10% of the total price before you visit us or buy a friend a day out at Bicton as a gift for a special occasion. Remember if you decide to become a member we will deduct the entrance fee from the membership cost.